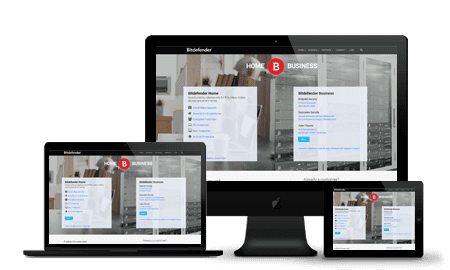 Bitdefender is an internet security software company founded in 2001 and is known today to be one of the leading providers of fast and effective security products with an emphasis on design and ease-of-use. Their latest security suite, Total Security, has already won numerous awards and is living up to expectations in terms of design, features, and protection against any and all possible threats. Bitdefender has only one package that supports all devices, and that is the Total Security 2019. This is the best Antivirus package, and it offers cybersecurity cover for Windows, macOS, Android and iOS devices. You can use it on up to 5 or 10 devices. This packages are for Windows devices only, and they support from 1 to 10 devices. Easily installed on PC, Win 10 included, Mac, and IOS, Total Security 2019 offers a wide range of features, including several unique and very useful features that are not common in most antivirus programs today. Once installed, the autopilot feature is turned on by default, which is great for users who don’t want to mess around with settings and configurations. The autopilot simply configures the antivirus program’s settings for you based on your behavior, making it optimized to your specific needs without having you waste your time on doing it yourself. The SAFEPAY feature is one of those unique features that make Bitdefender Total Security so appealing. Nearly everyone shops online these days, leaving credit card details and other personal information potentially open to theft. Many internet users even opt to access their bank accounts online to monitor their account and make transactions. SAFEPAY is basically a secure browser that you open from the Total Security Interface and it allows you to make secure payments and log into your accounts without worrying about having your personal information stolen. Users can even have their payment details saved, encrypted, and protected by Bitdefender to save time filling out payment forms when they shop. There are a number of optimization tools, including PC Clean Up, Registry Cleaner, and Disk Defragmenter, among several others. But the one that really makes this product unique is the 1-Click Optimizer which can be accessed from the home screen of the user interface. Users need only click the “Optimize” button in the home screen and Total Security will automatically activate Disk Cleanup, Registry Cleanup, and Privacy Cleanup. Bitdefender Total Security was designed from start to finish to provide maximum security and advanced features in an interface that anyone can use and understand with ease. The design is sleek and intuitive, and all of the main features can be activated from the main screen in one click. With the AUTOPILOT feature, users can install the software and have it completely configured and optimized to their specific needs without ever needing to access the user interface. BitDefender have various customer support systems in place. Thanks to the live chat support, you can get live and instance assistance. They also provide email support for more technical queries, but this one takes a few hours to get a response. You can still get a solution by yourself through their knowledge base. This one is split up according to products, and you will find articles, screenshots, and video tutorials. Apart from all these, you can still contact them via phone, or visit the community forum. There is 24/7 phone, email, and chat support. It's available 24/7 in various locations. Email is available 24/7 for subscribers only. There are product installation guides and how-to videos. There is an active forum with updated posts. The company blog posts news and insights. There is no downside to using Bitdefender Total Security to protect your files and personal information. Not only is there an array of convenient features that protect your information and optimize your PC performance, all of this is done in an intuitive interface that doesn’t require the user’s manual input. It is no surprise that Bitdefender wins awards every year for the security products they develop, and Total Security is without a doubt their best yet.